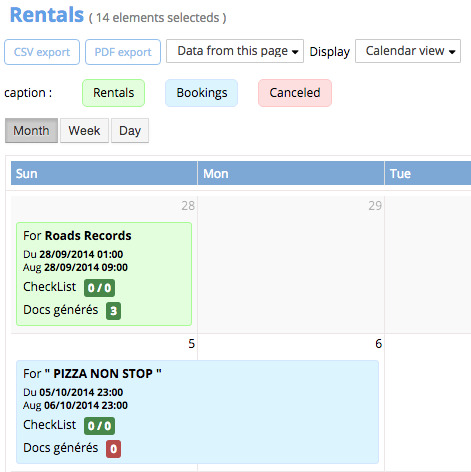 The calendar view is a powerful tool for a snapshot of your rental forerecast overview. You can then view your bookings (in blue) and your rentals (in green). 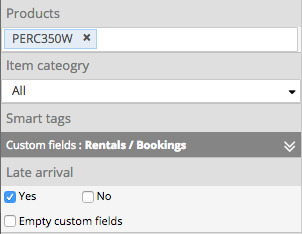 By clicking on a rental / booking, you go directly to the overview. You can also move your rental with drag and drop (if the one of the products is unavailable, the system will alert you).